City, coast and countryside, you can take your pick if you’re basing yourself at our Canterbury Club campsite. Although a popular stopover for those travelling to or from France, this campsite offers the ideal base for exploring Kent’s coast and country. 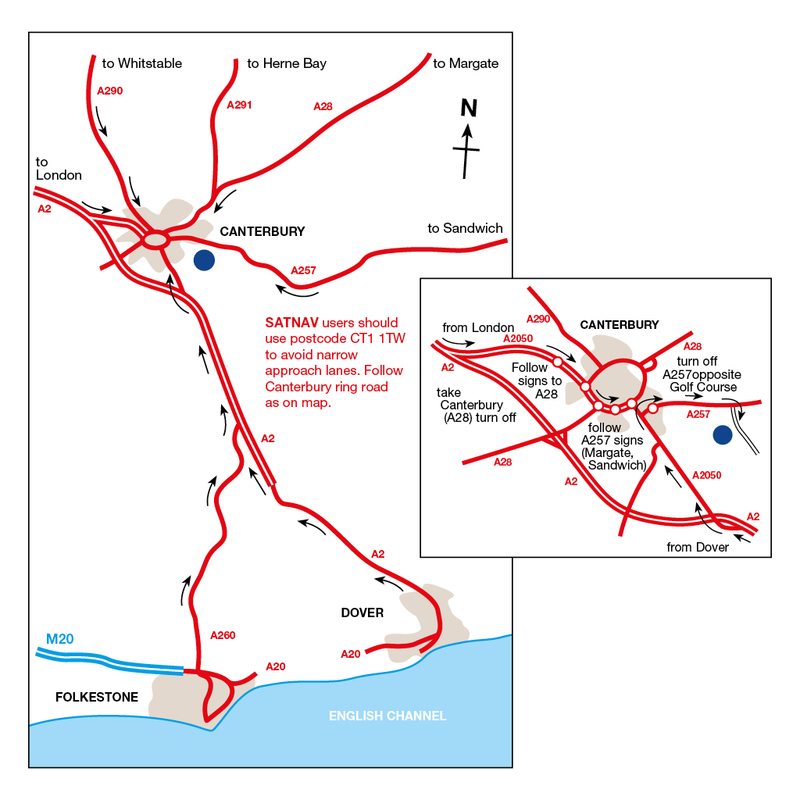 The campsite lies just one mile south of the city and is easily accessible on foot or by bike (there is cycle parking and Park and Pedal available in Canterbury), or you could take one of the frequent buses from the stop right outside. The well laid out campsite offers a mix of level grass and hardstanding pitches. There are toilet and shower facilities, a washing up area, children’s play area and good dog walking. Off-site Canterbury is a city packed with history, heritage and culture. It has a stunning cathedral and the ruins of St Augustine’s Abbey and St Martin’s Church and castle. It also has an eclectic mix of specialist shops, independent retailers, bars and restaurants. Head to the coast for Whitstable, with its trendy harbour and July Oyster Festival. For a great family day out, visit Howletts Wild Animal Park (just five minutes’ drive from the site) or one of the nearby Kent seaside towns and beaches including the more traditional Herne-Bay, which has two miles of seafront adorned with colourful beach huts and a pier. Or you could head to the quaint Victorian town of Broadstairs with its Punch and Judy shows and donkey rides, which is a contrast to the more cosmopolitan harbour side Ramsgate noted for its pavement cafes and waterside bars. Ready Camp is available at this campsite. (Please note that, although we welcome dogs on this campsite, in the interest of all guests we do not permit pets to stay within the Ready Camp tents). At times Sat Navs are not reliable. Do not approach the site via the narrow lanes, use the map provided or the post code CT1 1TW that will take you to the golf club opposite the site. 100% coverage cannot be guaranteed due to rural location, weather conditions and changing flora or fauna. These can cause variable signal strength. Hotspots are available. More information. One mile from the site are next door neighbours, Phoebe’s Café and The Two Sawyers pub, both dog-friendly. Discount voucher available for the pub on site. Embark on a voyage of discovery along the Great Stour and through Canterbury. See the gorgeous buildings from a very perspective and listen to your boatman's informative tales of the history of the City. Ruins of a great Benedictine monastery located close to the city centre in Canterbury. The abbey was founded in 598AD by St Augustine until its dissolution in 1538 by King Henry VIII. Home to 200 diverse species, a natural history museum and two adventure play areas, Wingham Wildlife Park is a fun day out for the whole family.